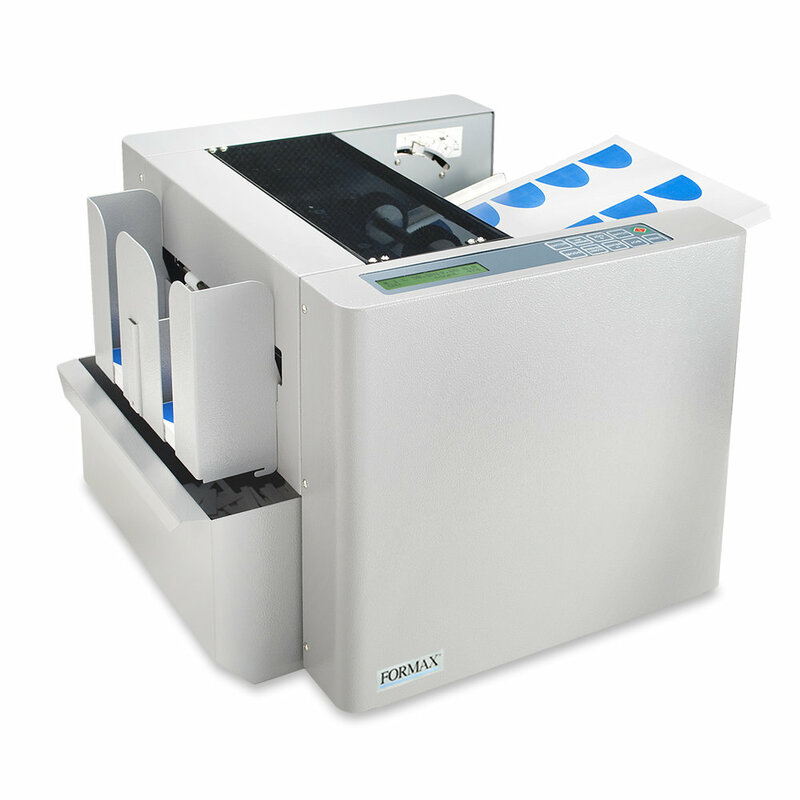 The Formax FD 120 Card Cutter is ideal for on-demand processing of full-bleed color business cards, postcards, greeting cards and photos. With its capacity to cut both letter and legal size documents in paper weights up to 350 gsm, you can create professional quality cards right from your desktop. The FD 120 has a small footprint and an easy-to-use control panel with LCD display. The FD 120 automatically cuts and slits documents and stacks them in sequential order at speeds of up to 130 business cards per minute. Utilize the 6 pre-programmed jobs or 6 programmable jobs to save time and effort. Optional interchangeable cutting cassettes are available for even greater flexibility and productivity.